Gold falls on sluggish demand. Gold prices further dropped at the domestic bullion market here on Thursday on sustained unwinding by jewellery stockists and traders impacted by lacklustre demand amid weak overseas trend. 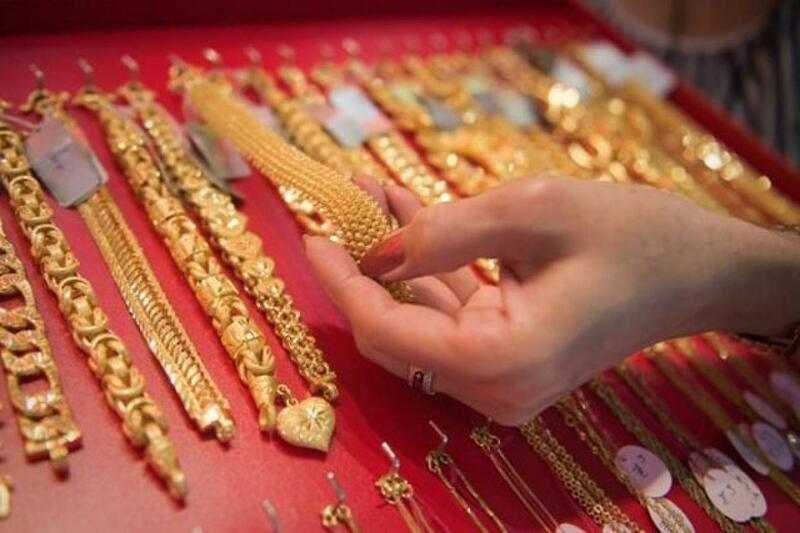 Mumbai: Gold prices further dropped at the domestic bullion market here on Thursday on sustained unwinding by jewellery stockists and traders impacted by lacklustre demand amid weak overseas trend. In contrast, silver witnessed a strong rebound on the back of heavy speculative offtake coupled with good industrial buying support. Standard gold (99.5 purity) slumped by Rs 225 to end at Rs 26,325 per 10 grams from overnight closing level of Rs 26,550. Pure gold (99.9 purity) also drifted by a similar margin to settle at Rs 26,475 per 10 grams against Rs 26,700 previously. However, silver (.999 fineness) recouped by Rs 215 per kg to finish at Rs 35,510 from Rs 35,295 on Wednesday. On the global front, the shiny-metal fell sharply on strong dollar as well as uncertainties over US Fed rate hike even as investors stayed on sidelines ahead of Friday’s key non-farm payrolls data. Spot gold was substantially lower at 1,122 an ounce in early European trade, while silver quoted weak at $14.55 an ounce.